Department of Transportation (DOT) physicals are a requirement for people who operate commercial vehicles. These physicals ensure that no unsafe person is operating a commercial vehicle. Below is information to help you determine if you need a DOT physical and where to get one. You are paid to operate a motor vehicle that holds nine to 15 passengers; you drive the vehicle more than 75 miles from where you report to work; and/or you operate this vehicle for interstate commerce purposes. You operate a motor vehicle with a gross combination weight rating, gross vehicle weight, gross vehicle weight rating, or gross combination weight of at least 10,001 pounds; you operate this vehicle for interstate commerce purposes. You transport hazardous materials in certain quantities. Lastly, it is important to find a licensed healthcare provider to perform your DOT physical. 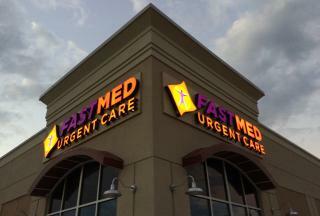 Call FastMed Urgent Care today for your DOT physical. We have locations across Arizona, North Carolina and Texas, open seven days per week, including nights and weekends. No appointment necessary. The content presented on this page is not intended to diagnose health problems or take the place of professional medical care.